Stop Trashing Clock Tower Place! First published 10/8/2015; The Beacon-Villager (aka Wicked Local Maynard); publisher: Community Newspaper Company (Gatehouse Media, Inc.). In a scene from the 2003 movie “The Lord of the Rings: The Return of the King,” Gandalf tells Denethor II, the last Steward of Gondor, “Authority is not given to you to deny the return of the king, STEWARD.” To which Denethor replies, “The rule of Gondor is mine! And no other’s!” If you know J. R. R. Tolkien’s works, then you know that it did not end well for Denethor. And just as a king cannot really own a kingdom, nobody really owns real estate. They can only be stewards for a time, with history serving as their judge. Chapter one, 1846 to 1950, as a mill under the stewardship of the Assabet Woolen Mill. Chapter two, 1957 to 1998, as the headquarters of pioneering computer company Digital Equipment Corporation (DEC) under the stewardship of Ken Olsen. Chapter three, 1998 to 2015, as a multi-tenant startup office complex under the stewardship of Wellesley Management. Chapter four, 2015 to present, as a mixed-use complex under the stewardship of Saracen Properties. Every chapter has a beginning, a middle, and an end. For the wool mill, the end of various wars and the rise of the industrial revolution ended chapter one. For DEC, the PC revolution ended the market for microcomputers and chapter two. For Wellesley Management, the departure of anchor tenant Monster.com led to foreclosure and the end of chapter three. In 1998, when Wellesley Management took over stewardship of the mill, Clock Tower Place was significantly larger than its previous real estate projects. Nevertheless, Wellesley did its job admirably and managed Clock Tower Place through two recessions (the post-9/11 recession and the Great Recession of 2007-2009). In the fall of 2014, Wellesley struggled with the (arguably impetuous) decision of Monster.com to move from Maynard to Weston. While it is true that the departure of Monster.com sealed the fate of Clock Tower Place, I doubt that any owner could have successfully managed the mill through two recessions and the departure of its anchor tenant. It is worth noting that the departure of Monster.com did little good for that company. In November 2014, Monster.com executive Sal Iannuzzi ended his tenure as CEO. During Iannuzzi’s time as CEO (April 2007 – November 2014), Monster.com’s stock value declined by over 90% (https://en.wikipedia.org/wiki/Monster.com). Also in the fall of 2014, the Saracen chapter unofficially started. Tenants (including my law firm) received various conflicting letters about where, how, and to whom to pay rent. We had to hire lawyers to figure out what to do, and whether we should get out. In the spring of 2015, when the dust finally settled, the bank sold its $64 million mortgage to Saracen Properties for only $13 million, or just over 20 cents on the dollar. The bank’s $49 million loss was Saracen’s gain. And just as with the previous steward, the mill is significantly larger than Saracen’s previous real estate projects. Yet, faced with such good fortune, Saracen has seen fit to re-write history, to portray previous owners poorly, and to make knowingly exaggerated statements about the future. This behavior is both dishonest and disrespectful of Saracen’s place as just one of many stewards of Maynard’s mill. The truth is somewhere in the middle: the past is not as cold and dark as page 24, and the future is not as warm and bright as page 25. Those of us who have been in the mill long enough will recall that Wellesley, too, had colorful artist’s renderings of what Clock Tower Place would look like. Clock Tower Place, a 1.1 million square foot mill complex, was purchased by Saracen Properties in [April 2015], and the company plans to revitalize the complex. 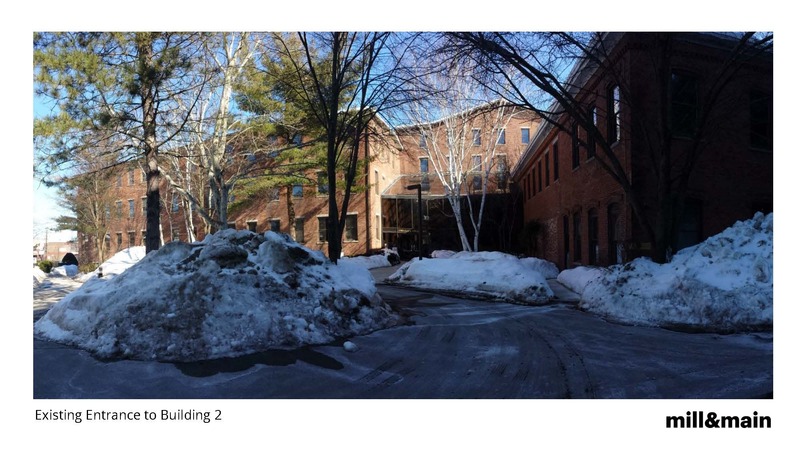 Wellesley Companies, which had owned the building since 1998, had trouble filling the property and was dealt a fatal blow in early 2014, when its largest tenant Monster Worldwide, Inc. left, leaving 300,000 square feet of unused space. In 2011, Maynard residents approved new zoning laws that permitted up to 50 percent of the complex to be turned into condominium apartments; however financial backing from banks and investors was slow. 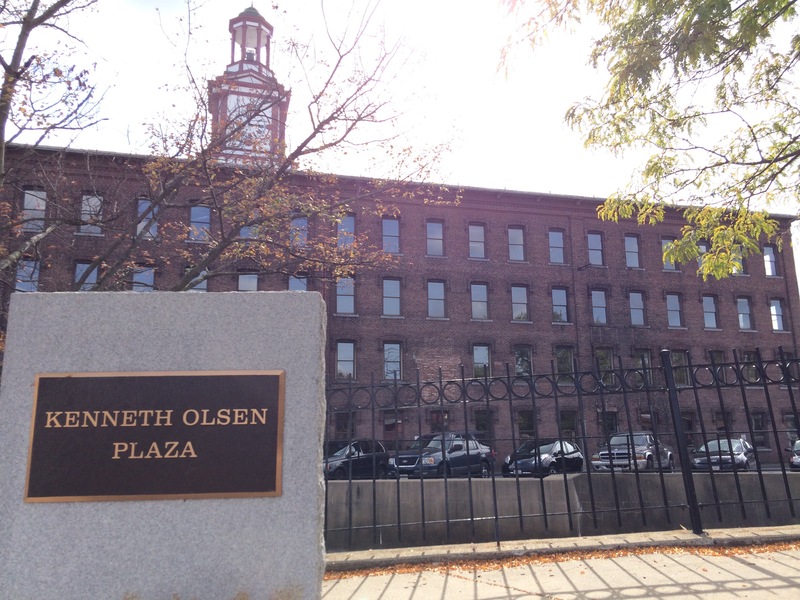 Wellesley Companies fell behind on their property taxes and the mortgage was sold to Saracen. The property at 129 Parker St. has experienced a similar tumultuous history since Digital Equipment Corporation left the property. The property was purchased in 2011 by Capital Group [which] has been attempting to get a site plan approved by the town. The latest plan calls for a mixed-use property that includes commercial, retail and office space, as well as substantial housing facilities, including areas that would be classified as affordable and senior housing. I agree that the attempted development of 129 Parker Street has been tumultuous, but it is simply unfair to put Clock Tower Place in the same “tumultuous history” category. Calling Wellesley’s 17-year run as stewards of Clock Tower Place anything other than successful is both historically inaccurate and frighteningly disingenuous. Joseph Mullen, Mary Ellen Lorion, and the many other good men and women of Wellesley Management deserved a better fate. 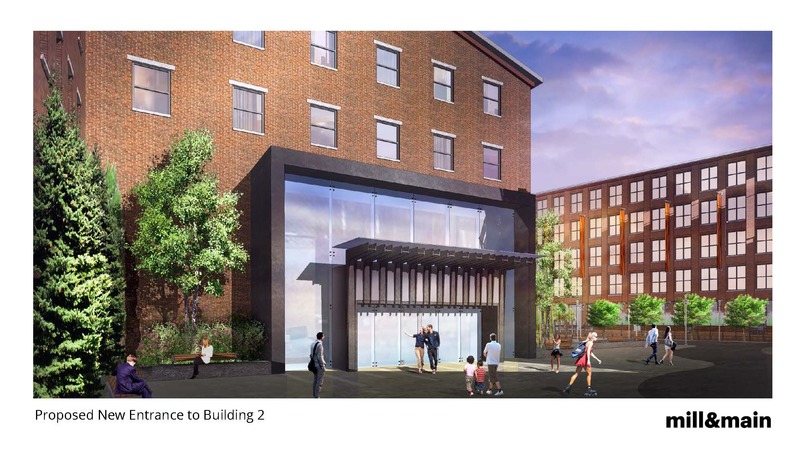 The one-page (and highly Photoshopped – there is no such view from any building) website for Saracen’s renamed Mill&Main (http://www.mill-and-main.com/) says “1.1 million square feet of pure potential.” For a 10-year-old musical prodigy, potential is a very good thing, but for a 40-year-old underemployed musician, potential is a very bad thing. Potential is the anti-resume: it is a complete listing of everything that you have never accomplished in your life. And for a mature property like Maynard’s mill, potential scares me. This is my 15th year in the mill. Don’t show me potential, show me actual. Actually, I have been sorely disappointed in Saracen’s stewardship to date. Since April 2015, when Saracen purchased the mill, there have been exactly zero pieces of direct written communication from Saracen to the tenants about Saracen’s plans for the mill. Zero letters, zero faxes, zero emails. Everything that I have learned about Saracen’s plans for the mill has come from the newspaper (http://maynard.wickedlocal.com/) and from the grapevine (http://maynardgrapevine.blogspot.com/). Saracen did give one presentation to tenants (which I could not attend), but it neither kept track of which tenants attended nor made any effort to send presentation materials to those absent. Potentially, I will renew my lease before it expires in July 2016, but I am uncertain that Saracen wants my business. In August 2015, I emailed both Saracen’s Waltham headquarters and local contacts about my complaints. Both emails went unanswered. I did, however, meet in person with a representative from Saracen later that month. I voiced my concerns about receiving no notice about both Saracen’s long-term plans and short-term construction projects. I lived through the very disruptive 2001-2002 construction of the parking garage. Saracen’s construction plans dwarf the garage project, so I doubt that the disruption will be less. While that meeting went well, the very next day, and again with no notice, demolition crews started taking town the cinderblock annex to Building 8, right outside of our office. One Building 8 tenant told me that even they were not notified about this project! 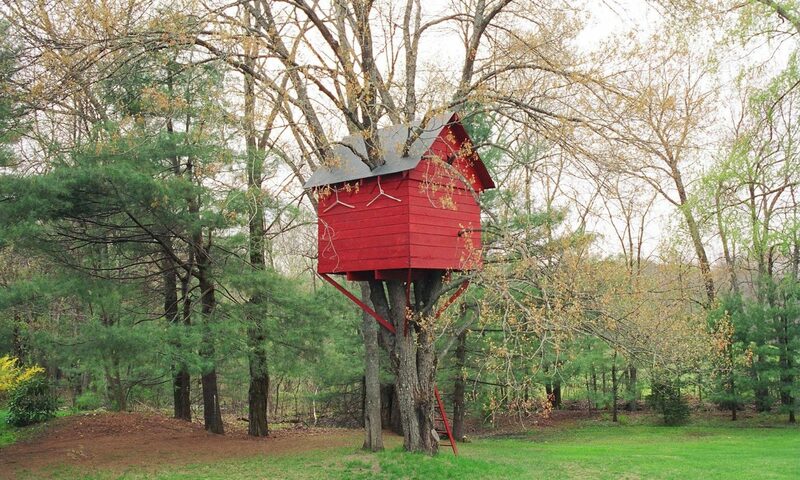 I have owned several houses in my life. I have endeavored to be a good steward, leaving each property better than I found it. I expect at least as much from the stewards of the buildings where I work. I love the mill. It has been my second home. My law firm, Clock Tower Law Group (http://www.clocktowerlaw.com/) has referred several tenants to the mill, we’ve hosted several community events, we’ve provided discounted services to our neighbors. We have been a good tenant. I do not know how the Saracen chapter will end, but I do know that it will end. To call the start of Saracen’s stewardship of the mill shaky is generous. But there is still time for Saracen to redeem itself: be honest about the past, be transparent about the present, and be realistic about the future. In short, be a good steward. Only then will your place in history be secure. My law firm may be a small tenant, but I know that other tenants – both large and small – share my concerns. And even a small hobbit can move mountains. Or can move out.